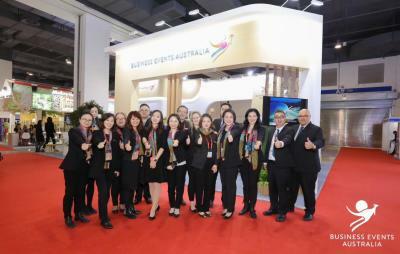 PCB’s Corporate and Incentive team headed to Shanghai from March 19-21 to represent Perth at IT&CM 2019, an event targeted at MICE buyers. The event was attended by 708 exhibitors from 308 exhibiting companies and organisations, 493 buyers and 55 media, and included an Opening Ceremony and Welcome Dinner at the Hilton Shanghai Hongqiao and numerous networking breaks and luncheons during the conference. This was the first time PCB have attended this event, and it was a great opportunity for exposure in China. The C&I team have previously attended IT&CM Bangkok in 2017 which generated some strong leads for Perth.